Noga Ambulance believes in providing the highest level emergency care to the community it serves. Keeping with that tradition we have a robust public training department. Educators are certified by the PA Department of Health, and American Heart Association. 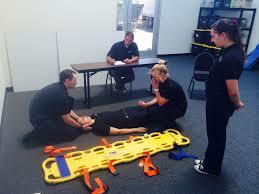 Instructors are certified to teach, EMS education, EVDT, CPR, ACLS, and PALS. Each instructor has over 15 years of public safety experience. Noga Ambulance is a PA Department of Health con-ed sponsor. We offer various classes throughout the year to our fellow Fire and EMS agencies. If your department is in need of con-ed sponsored class contact our Training Department today. We will be glad to meet your training needs. Check back on our website’s news tab or our page for upcoming co-ed classes!